Jacqueline Olive is a documentary filmmaker living in Florida. Her most recent project is the feature film, Always in Season, which aims to explore the history of violence and terrorism that Blacks faced through lynching, as well as ongoing efforts to reconcile and seek justice for the heinous race-based murders of Black people for over a century. The film focuses on four communities affected by lynching, particularly relatives and descendants of both lynching victims and perpetrators. By doing so, the documentary hopes to show how each community is "grappling with how best to acknowledge the victims, repair the damage, and reconcile—all in the midst of pushback and heated national discourse about the value of black lives." 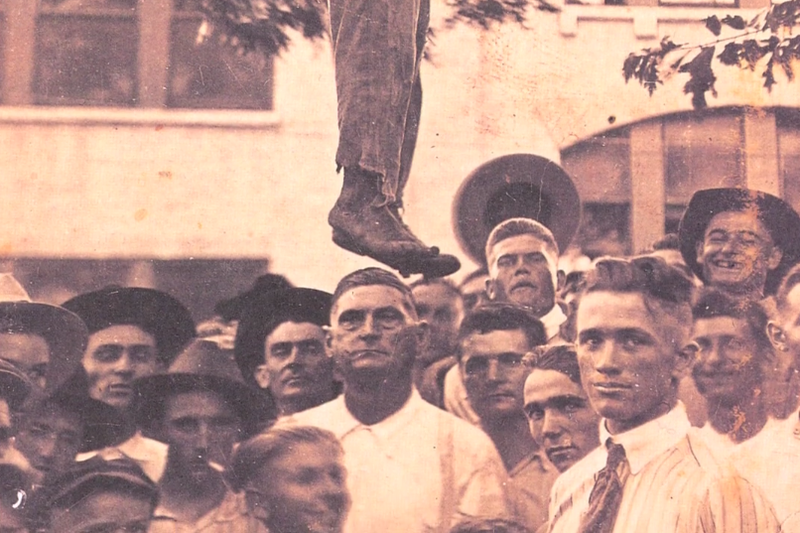 As an African American mother of a 17-year old son—who I can remember sleeping next to me on the floor of the edit suite while I co-created my first film ten years ago—I am particularly alarmed by the number of vigilante and police killings of black and brown people today (4 times a week) that mirrors the rate of lynching at its height. On August 29, 2014, Lennon Lacy, 17, the same age as my son, was found hanging from a swing set in Bladenboro, NC. We recently traveled to Bladenboro to tell Lennon's story and filmed with his mother Claudia, who grieves as she seeks justice for a son that she, and many others, suspect was lynched. Lennon Lacy's life matters, as do the lives of the victims of lynching who were often brutalized out of their humanity. Their lives matter. The details of the circumstances of their deaths matter. Watch the trailers from Always in Season below. You can also visit the film's IndieGoGo page to read more about the film and contribute to the fundraiser. Michelle Denise Jackson is Senior Editor at For Harriet. You can follow her on Twitter @MichelleJigga or reach her via email: michelle@forharriet.com.